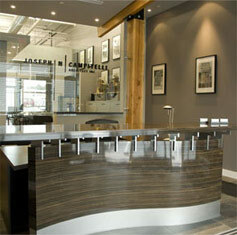 Development Through Inspiration | Joseph Campitelli Architect Inc.
Joseph N. Campitelli Architect Inc. is a design firm based in Markham, Ontario offering a full range of Architectural services. The firm has also developed a partnership with colleagues to offer services internationally in Dubai, UAE. The firm offers comprehensive design solutions in architecture, interior design, and planning for all project types and scales. Copyright © 2014 - Joseph N. Campitelli Architect Inc.